Currently, real-time strategy games are looking like the proverbial red-headed step child of gaming. Fairly few RTS are being made any more (for a variety of reasons, but that is a topic for another article perhaps) and they tend not to sell particularly well, nor do most of them hold on to viable communities for considerable periods of time though there are of course some stand-out exceptions like StarCraft2, Company of Heroes 2, the Wargame series and of course the revived Age of Empires 2. To me, this is more than frustrating, it’s incredibly disappointing. RTS, to me at least, are more than idle ways to pass the time, ways to blow off steam, or a means of escapism; they’re playgorunds for exercising the mind, and they do so in ways that I contest few other genres can. Among other things, playing RTS can strengthen skills like self-analysis, critical thinking, planning and decision making, and reinforce a proactive, positive approach to life and adversity. I’ve ended up writing over 1000 words just defining what a real-time strategy game is, so I’ll have to split this concept into two or more articles. First, let’s look at what an RTS is. Next week, we’ll look at why I play them, and think you should, as well. So, it’s hard to talk about the benefits of real-time strategy games without first discussing what, specifically, we mean by “real-time strategy.” Technically, most games that aren’t turn based could be described as a game where the player is executing a ‘strategy’ in real time, from shooters to 2D or 3D puzzlers, to sports games. 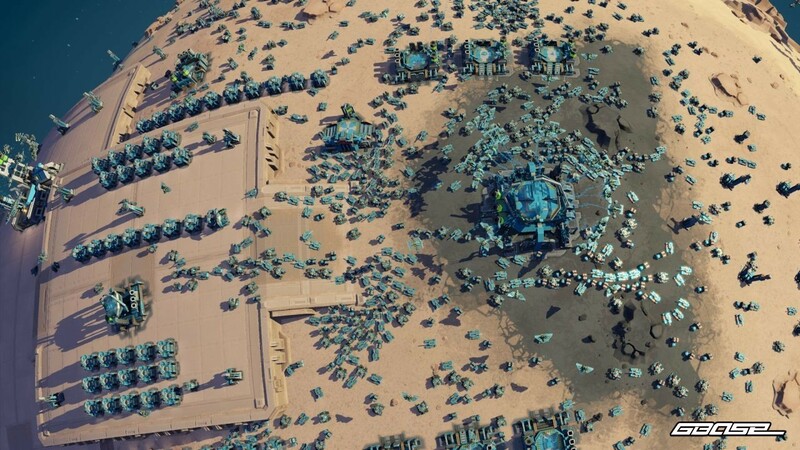 What sets an RTS apart, and makes it what it is? To me, a real-time strategy game must have, at minimum, the following compontents. First, of course, it must take place in real time. This doesn’t speak to a specific pacing, nor to ease-of-use niceties such as issuing orders during a pause state (though in my mind this would decrease the real benefits of real time systems, but I’ll get into that momentarily). And, of course, even real time games tend to have clocks that determine how often things can happen, or a base rate of game activity. 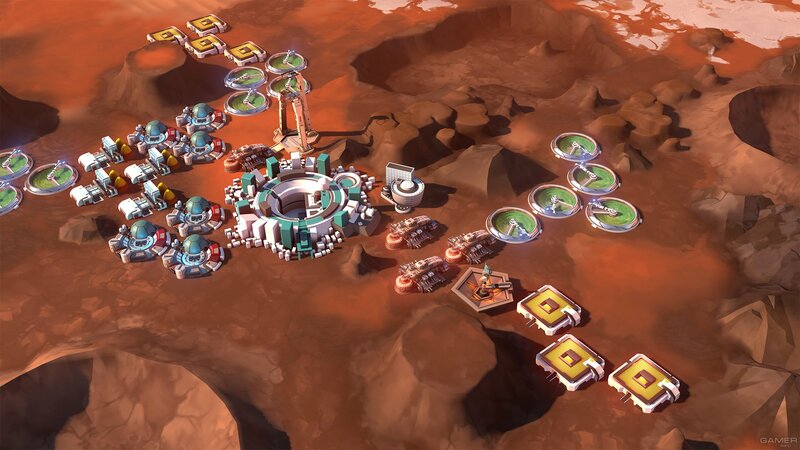 Mohawk’s Offworld Trading Company, for instance, has 1 second “turns” meaning that all actions take place in 1 second intervals. However, though this base rate of play can be manipulated via a game speed toggle, players themselves are not in control of turn progression, and there are no direct interruptions of the progression of actions within the game. And what’s so special about ‘real time’ strategy games? In a word, pressure. Not being in direct control of the pacing of game events put pressure on the player to make fast, accruate decisions based on limited information. Anyone can make a good decision given enough time, but RTS enforce critical thinking by forcing all participants to constantly evaluate the quality of their decisions and the efficiency of these same decisions. RTS, especially fast-paced ones like StarCraft 2, force players to make the best decisions they can, both in the moment and for the future. Poor decisions must be eliminated or mitigated in future attempts (that is, later in the course of a particular match or in future matches against the same or different opponents). RTS develop in players a ruthlessness about their own decisions, and much of the reason behind this is that it doesn’t give them lots of time to evaluate. RTS train players to quickly evaluate situations to determine the best future path forward. Additionally, all RTS games must feature an abstracted economics system of some sort. The root of RTS is not hordes of units duking it out in spectacular fasion, but is instead rooted around the aquisition and expenditure of stores of value (resources). Whether it be the Gold and Trees of WarCraft, or the Power and Melange of Dune 2, or the Manpower, Fuel and Munitions of Company of Heroes 2, a core aspect of any RTS is the aquisition and expenditure of some sort of store of value. Key to success in RTS is the understanding and exploitation of such an economic system to leverage an advantage over an opponent. As with the previous section, what’s the importance of economy? Of course, I’ve come up with a pithy one word response here too, of coure: progress. RTS cannot exist in my view, without each player being given not only limited resources with which to act on the game, but a broad array of options with which to progress down. Progress in RTS is often represented with “upgrades” and “buildings” and “units” etc. The main point is, the player must be asked to invest limited (though not necessarily scarce) resources into progressing and expanding, capitalizing on their past actions towards future goals. This has typically been realized through the production of structures and workers to harvest and build more structures to increase the size and power of a player’s military force, but my definition doesn’t preclude other methods. Again, I’d point readers to Offworld Trading Company’s purely economic model of expansion and dominance. Another cornerstone of this is the necessity that players be able to actually lose their investments. Units must be able to be killed, structures razed, territory taken. Players must be able to both gain, and lose what they’ve gained. A key differentiator between real-time strategy games and MOBAs is that in a MOBA, almost all of a player’s progress cannot be lost once attained. Once a player gains a level for their hero, or a piece of gear, or in many cases wealth, it is impossible for them to lose it (some exceptions exist, as in DOTA where players lose gold when they die). This is a marked difference from RTS where virtually every single advantage a player has can be taken from them. This further reinforces the concept of “pressure” and the need to make good decisions, as well as testing and improving a player’s ability to multi-task, as they must defend their own investments and use them as wisely as they are able. Which brings me to the next requirement for RTS: they must be competitive. RTS are not just games about economics, they are games of competitive economics, or competing economies (a subtle but important destinction, since in very few RTS are players actually engaged in direct economic competition over the same pool of scarce resources). A core tenant of RTS is that players be in direct competition with one another: pursuing similar ends in parallel is not sufficient, in my mind. If players are not directly competing against one another, the game simply doesn’t cut the mustard, as the saying goes. 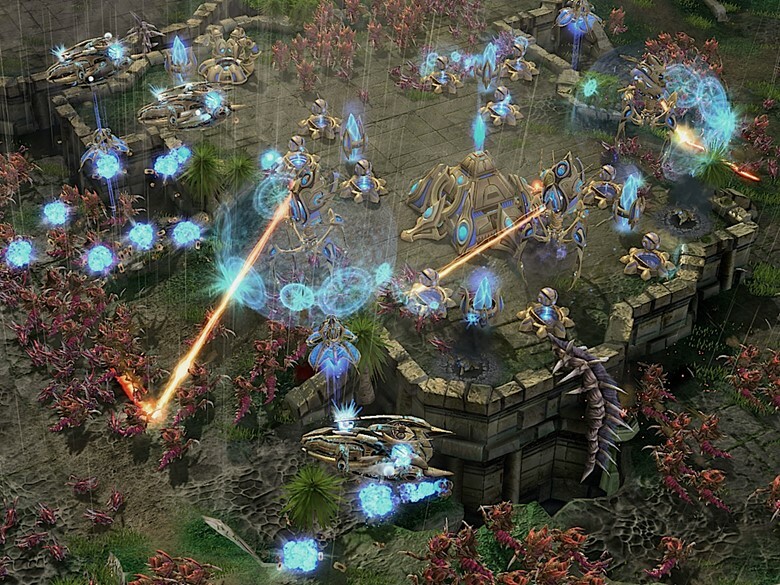 In RTS, there is almost always one or more ‘critical elements’ that a player is seeking to wrest control over to achieve ultimate victory. This is easy to grok when a player considers the win conditions of Supreme Commander or Company of Heroes. In Supreme Commander, the player must protect a critical piece, analogous to the King in Chess. In Company of Heroes, players are competing over control of a system that provides a resource: Victory Points. The first player to gain the requisite amount of points is the winner. However, in both cases, the win condition is binary: whoever doesn’t have a Commander, loses. Whoever gets to 500 Victory Points, wins. And importantly, only one player can gain Victory Points at a time: whoever controls more Victory Point territories, gains the Victory Points resource. An RTS must require the player to simultaneously manage multiple game pieces or elements. This does not necessarily mean soldiers, or tanks: I again point to Offworld Trading Company, in which a player’s main source of interaction is placing buildings and purchasing or selling resources on the game’s common market. 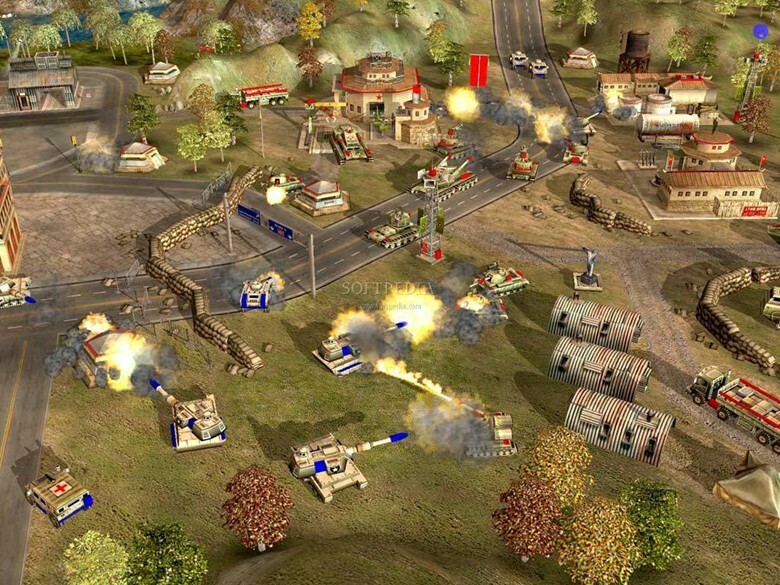 Though the player is not ordering tanks around a battlefield, they are being forced to simultaneously consider their opponent’s game state, as represented by what resources they’re producing, and their own game state, as represtented both by the resources they themselves are producing, and the rates at which they are consuming and stockpiling all of the game’s various resources. Time and attention are limited resources the player themselves has, and multitasking requires the player to spend them wisely. It also enables the much-lauded mind-games that all of the best RTS enable. Without stretching a player’s time and attention to their limit, RTS would not be so compelling nor valuable. While I do not consider Fog of War itself to be a required element of real-time strategy games, I do consider uncertainty of other player’s actions to be incredibly important. Economics, time pressure, and competition are all intensified if all players are forced to proactively seek our information on the actions, strengths and vulnerabilities of their opponents, and to defend against their opponents learning the details of their own actions, strengths and vulnerabilities. So, to bring all of our requirements to a single place, let’s wrap up by putting together a concise definition of what a real-time strategy game actually is. In short, a real-time strategy game is a game where multiple participants engage in competitive economics, managing limited resources to expand multiple game elements in order to gain an advantage and ultimately wrest control of one or more critical systems to attain a concrete victory. Phew, that’s a bit long-winded huh? And what’s the big deal about definitions? Without a solid understanding of a system, it becomes impossible to adequately critique and define the benefits of that system. This excessive exercise in exhaustive exposition is actually setting up my next article, which will be about what, specifically, I love about this genre, and what, specifically, I think its actual and actionable benefits are to players. Thank you for bearing with me, and I look forward to your thoughts. See you on the battlefield!